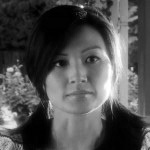 Michelle Krusiec (pronounced Kroozik) first found national and international critical acclaim in her starring role opposite Joan Chen in the romantic comedy Saving Face, directed by Alice Wu. Her award winning performance as an awkward, closeted lesbian garnered her a Best Actress nomination in the 2005 Golden Horse Ceremony, Asia’s equivalent to the Academy Award. Michelle has been a long time student of acclaimed acting teacher Larry Moss but first began acting when she was 12. She began working professionally when her first agent spotted Krusiec at a restaurant and signed her on the spot. Krusiec’s dramatic training took shape while attending an Arts Magnet School in Virginia. She continued her training in theater at Virginia Tech University and also Oxford. A little known fact is that Krusiec accosted Oliver Stone on stage while he was lecturing at Virginia Tech. Stone later went on to cast Krusiec in her first big studio feature, Nixon. Immediately upon graduation, Krusiec took off for the world, traveling to over 50 destinations around the globe as host to the Discovery channel series, Travelers. Upon completion of Travelers, she was cast in her second TV series for NBC, entitled One World, as a ditzy jock. Since then she has become bi-lingual in mandarin and travels between Los Angeles, New York and Asia. While filming Far North, she traveled to the arctic north to shoot amongst the glaciers of Norway. Krusiec’s reputation as an actor lives within her ability to move seamlessly between comedy and drama. Her countless roles in film, television and stage span from quirky characters to documentaries like Nanking in which she portrays a WWII survivor. With each successive role, Krusiec continues to shine in her versatility and artistry. As a writer, she continues to work on original material and perform her critically acclaimed solo show Made in Taiwan, which premiered at the Aspen Comedy Festival in 2002 and again in 2007 in its New York Off-Broadway premiere at the first annual Asian American Theater Festival.